What a great display of cricket by Pakistan cricket team today at The Oval, London when they beat India to win the ICC Cricket Champions Trophy 2017 by 180 runs. Batting first, the Pakistani batsman showed their resilience against Indian bowlers and were undeterred to keep scoring without any fear. 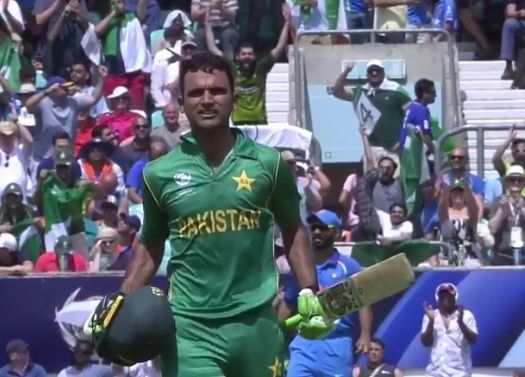 Fakhar Zaman (picture above) showed his mettle by scoring a ton and made 113 before being caught. Babar played well too but could not complete his half century and was caught at 46.